Queens Plaza is both present and absent. Present as a gathering of infrastructure, urban spaghetti slashing through city tissue. Present too asa mixed urban ecology, including a rich variety of industrial, commercial, residential, recreational, green, and transportation uses. The mix is unique in the city and demands to be nurtured with care. This diversity, however, also contributes to the “absence” of Queens Plaza. It is difficult to read a consistent sense of place that embraces the series of sites and environments from the East River waterfront to LaGuardia College. Queens Plaza is not a place that is easily identified visually, functionally, or culturally, and that difficulty is compounded by the knotty issues of circulation posed by a surfeit of traffic and an illegible pattern of pedestrian movement. 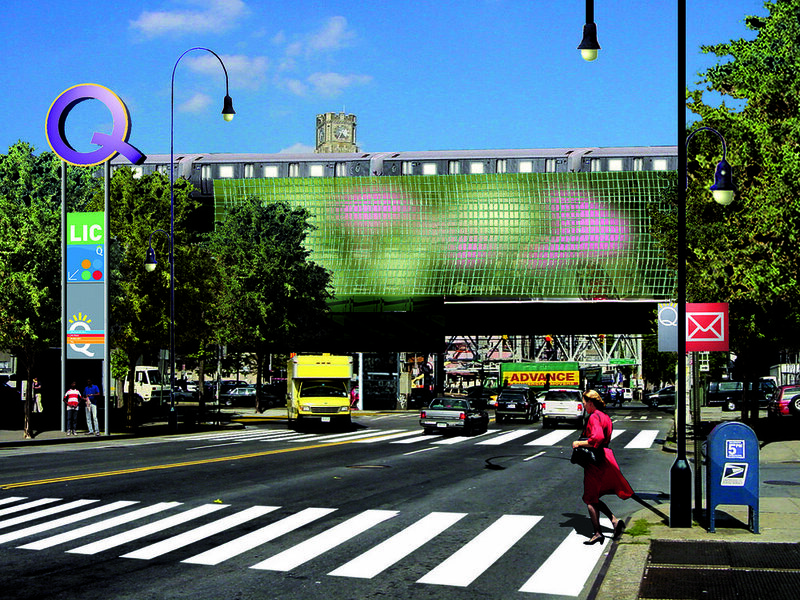 To put Queens Plaza “on the map” requires both the addition of a meaningful sense of identity site-wide and the reinforcement of the series of places that it encompasses. By extension, it also obliges thinking about the place of Queens Plaza in the larger context of Long Island City, the Borough of Queens, and New York City. Given its growing role as both gateway and center, Queens Plaza must cease to be simply a condition and become far more of a place, a real destination.